STAFF NEWS: Gerhold Names Reed New Sales and Service Rep. 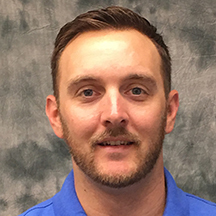 Sales and Service Rep. - Gerhold Concrete Co.
John Reed has joined Gerhold Concrete Company as their newest sales and service representative. Reed will focus on areas around Gerhold's southern and western plants, calling contractors and state, county and municipal offices. He will also monitor DOT, FAA, and commercial projects, while staying in touch with plant managers, quality control personnel, and production personnel regarding those projects. He will report to Gerhold's Sales Manager Chuck Pearson. Reed was the general manager with Lichti Bros. Oil before joining the Lyman-Richey Corporation family.